I point out that Mario’s drowning death is different. In the drowning footage, Mario was really DROWNING but in the final release, Mario just jump like other deaths. Has anyone noticed the change of background in 6/13/17 from a dark red, and from what I can see, blur, of the world, to a brighter red background of the world map? Guys, the main reason why the first trailer for Odyssey is different from the final game is because Nintendo did not want to tell the viewers that there was a wedding involved. This is why the ship had no carpet, as well as why Bowser’s hair wasn’t….different. The wedding plot was indeed revealed in the second trailer. Also, in the first trailer for Odyssey, Mario jumps out of a sewer (WHICH MIGHT BE A REFERENCE TO SUPER MARIO 64), where there is a checkpoint flag in the final version. In e3 gameplay from ” Polygon ” i noticed the Broodals encounter ( not battle ) theme, it sounds way different then the final game. I noticed another difference in a trailer. The second pot on top of the slots building in Mount Volbono isn’t there. Maybe they hadn’t added that yet, I don’t know. In the switch 2017 presentation, mario has his classic plastic hair, but on the end, and on next trailers and the final version, marios hair is modelled or textured! I don’t know if anyone has mentioned this yet, but in the southwest corner of the sand kingdom in the E3 demo, there was a power moon called “Taking Notes: Walk On Sand” which was removed from the final game. I was a very basic music note segment, and was probably removed because it was too easy. 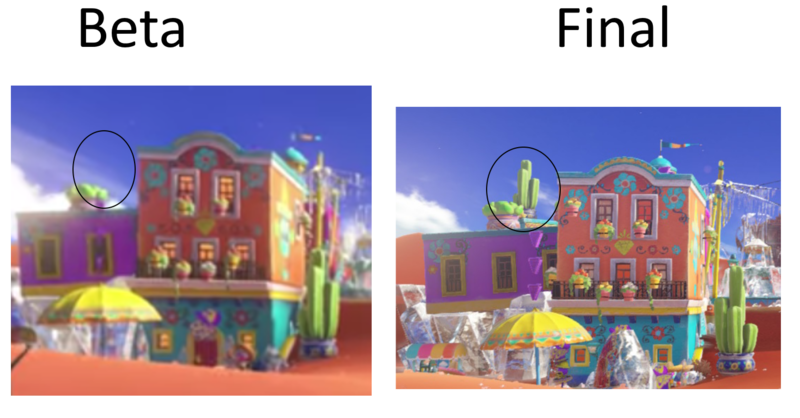 In the first trailer, the rabbit changes, not having a hat in the early build, but gaining a top hat in the final. Has anyone ever thought that maybe Odyssey was originaly gonna be a Galaxy 3? The Tostarina ruins’ music has a part where it sounds very Galaxy-y.